At the Los Angeles Auto Show, Mercedes-Benz’s AMG division presented its new and improved GT Coupe. Even if at first glance, it doesn’t seem to have received any significant changes. The GT gets new headlight clusters, a new rear bumper and new alloy wheel designs, but the major modifications made to the 2020 Mercedes-AMG GT aren’t found on the bodywork or under the hood. First of all, the GT’s cockpit receives a new V-shaped centre console, which is actually the same one found in the new Mercedes-AMG GT 4-Door Coupe. It also benefits from new fully digital instrumentation on a 12.3-inch screen—with Classic, Sport and Supersport display styles—alongside a 10.25-inch infotainment screen. In addition, the two-door GT obtains the AMG performance steering wheel that was introduced in the four-door variant. Said steering wheel is cloaked in Nappa leather in the GT C and in DINAMICA microfibre in the GT R.
A new variant of the 2020 Mercedes-AMG GT will be available, called the GT R PRO. This limited-edition car—as if the regular GT R wasn’t exclusive enough—benefits from even sharper driving dynamics, particularly on a race track. 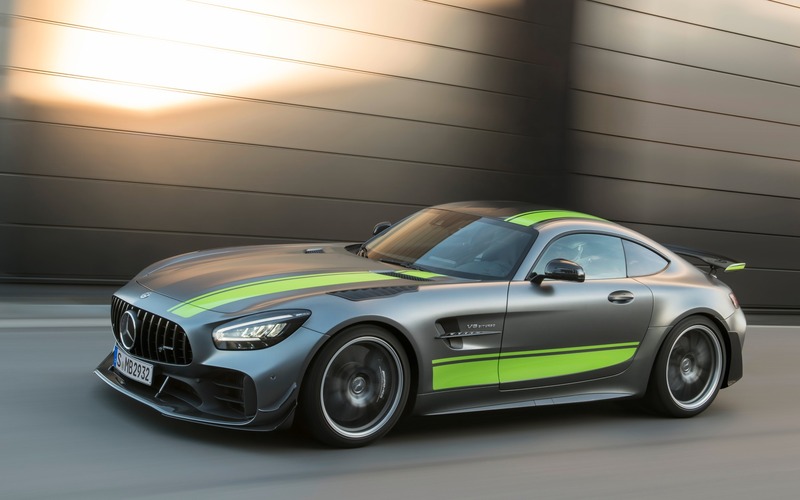 In the Canadian-spec GT R PRO, we get AMG performance seats, matte carbon fibre trim and extra bracing in the trunk. The on-sale date hasn’t yet been announced, but the 2020 Mercedes-AMG GT Coupe will still be available in GT (469 horsepower), GT C (550 horsepower) and GT R (577 horsepower) variants.